Wouldn’t it be great if you or your child could avoid the pain and discomfort of tooth decay by some miracle of modern dentistry? Well…that miracle already exists, and it’s available at Anchorage Dental Care where we can save you and your child from needless pain and financial hardship! 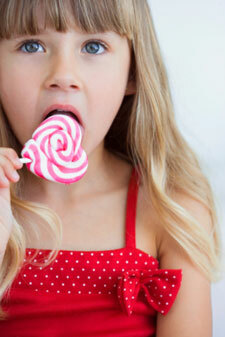 Sealants keep teeth cavity free by keeping sugary foods and bacteria at bay! Your back teeth (molars) contain ridges and indentations that your toothbrush may not reach. As a result, these are prime “hot spots” for tooth decay. Dental sealants help to protect these teeth from decay – especially important when your child gets those all-important first permanent molars. Having sealants applied to teeth before they decay saves needless time, pain and money because they help you to avoid the procedures needed to fix decayed teeth! A sealant is made up of a clear, film-like material that the doctor applies to the surface of back teeth. This material quickly bonds to the grooves and ridges imbedded in the chewing surfaces of the teeth, forming a protective barrier that keeps decay-producing bacteria away from tooth surfaces, helping to reduce the risk of tooth decay. Sealant application is fast and easy! Each tooth is prepared and cleaned thoroughly. Next, a bonding agent is applied to make the sealant “stick” to the tooth. Then the sealant is “painted” on to each tooth. The sealant is allowed to dry and harden, forming a protective bond on the tooth surface. Ten minutes is about all it takes for approximately five years of protection! And…sealants can be reapplied as they age or show signs of cracking or wear. Well, for starters, children around the age of six, who have gotten their first permanent molars and teenagers and adults who experience frequent tooth decay. Adults with chronic dry mouth may also benefit from the application of sealants because the lack of saliva, which offers some protection from tooth decay, leaves teeth more susceptible to tooth decay. Many people don’t know about the protective properties of sealants; in fact, you may never have even heard of them. Well, rest assured, we have been applying them for years with many healthy and happy smiles to show for it! Please feel free to call us with any questions you might have – we’re always available to share our success stories!